Mike is still recovering from knee surgery and I have been super busy at work. As a result. this past weekend our adventures in cooking were kept easy. Saturday Mike made this easy whole wheat pasta with fresh tomatoes and turkey sausage and a bit of Italian cheese and herbs. We paired it with a light Caesar salad mix from the produce section. Have you seen all the new bagel thins and sandwich thins that are out in the grocery stores. 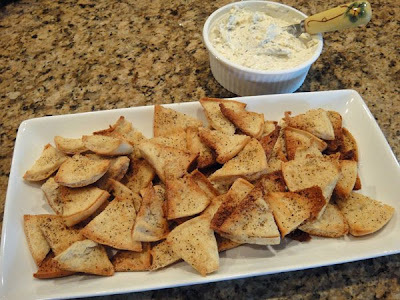 Mike cut up some of the bagel thins to make these bagel chips. Just a bit of cooking spray and a sprinkle of herb mixture with garlic powder, rosemary, salt and pepper. 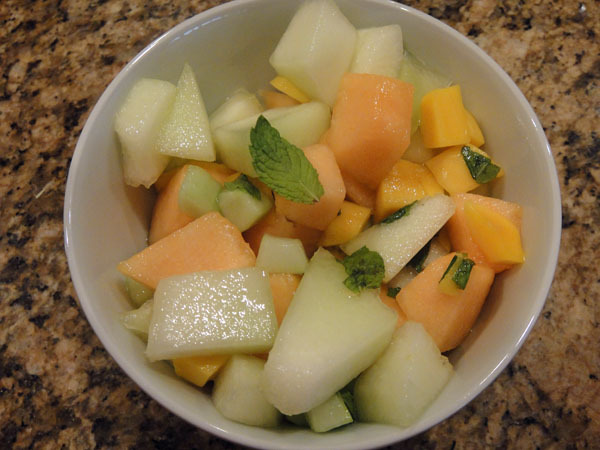 For dinner Sunday I made my Mojito Melon Salad. It is just some chopped up honeydew melon, cantaloupe, mango and cucumber, with some torn mint a sprinkling of Splenda and juice from a lime. 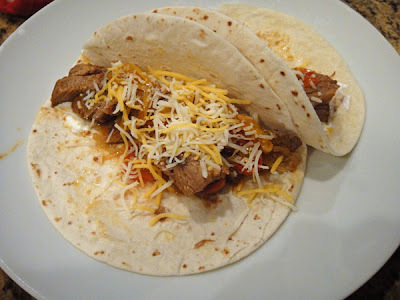 And to keep Sunday nights meal easy and make some leftovers for the week, Mike made our favorite crock pot fajitas. We use steak strips we get from Costco, red and yellow peppers, and an onion. Throw it in the crock pot with a pack of fajita seasoning and a half a bottle of beer. Cook for 4-6 hours on low. 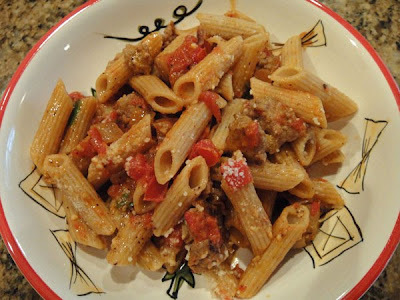 Mara always shares great recipes she has made on her blog. 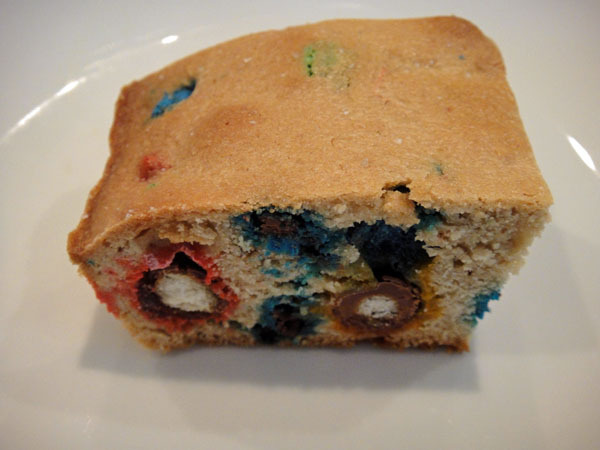 She made Pretzel M&M Blondie’s from a recipe she found at Bake at 350. 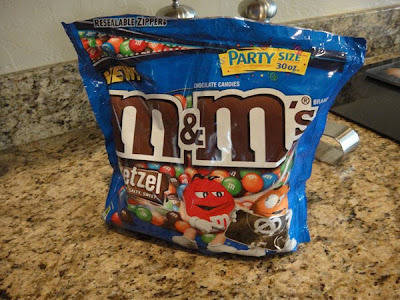 So I gave them a try Sunday afternoon, and they were a hit. I am taking a 4 day weekend this coming weekend to celebrate our 14 year wedding anniversary. So I am sure I will have a few more adventures to share next week. mmmm….looks delish!!! 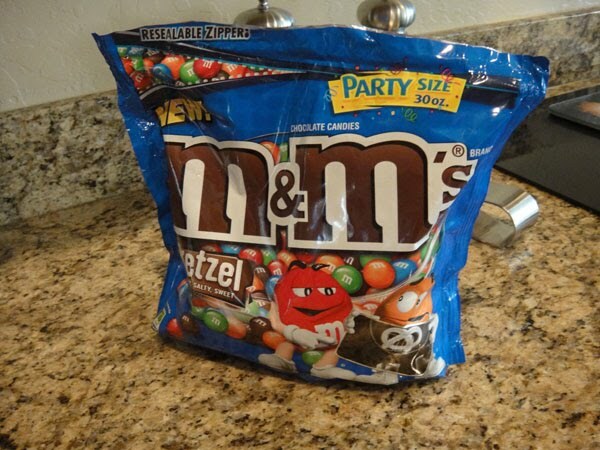 I may have to give those a try!!! Happy Anniversary!! I hope you have a wonderful weekend!! Happy Anniversary! Those crock pot fajitas look great. I'm always looking for new crock pot recipes!